Physical therapy caps come and go; new rules take their place. The fight over the value therapists brings to the table goes on. The word on Main Street is the debate about the value of physical therapy is over. The experiences they have while under our care. For sure, best practices and outcomes are a part of the patient experience, but the over-emphasis on evidence-based practice and outcome data to prove our worth has distracted us from what our patients value. Eric Almquist and researchers at Bain & Company have identified ’30 Elements of Value’. They categorize these elements into four groups resembling Maslow’s Hierarchy of Needs. You might find them useful as you think about the nature of the value you offer and how to relate it to your patient’s needs. This article will help you think about think about the value of your care from a new perspective– the patient experience. The patient journey is the total sum of experiences that patients go through when interacting with all aspects of your clinic. Instead of looking just at the treatment portion of the interaction, the patient journey includes the full experience of being a patient/customer. The patient journey includes key touch points like your website, scheduling, patient onboarding, first phone call or the initial face to face meeting. Many organizations still struggle to improve the patient experience (PX) and measure it in a meaningful way. Even (PX) experts have difficulty quantifying the connection between PX and business outcomes. You may be familiar with widely used customer experience measurement tools such as Net Promoter Score (NPS) or Customer Satisfaction (CST). You’ll never know what your patients value unless you ask them. If you want to move beyond your gut feelings and blind spots, you’ll need to ask your patients at least six simple questions, listen and record their responses. 1.What are you struggling with right now? Instead of opening your initial evaluation with “I see your doctor referred you here for [diagnosis] or “How may I help you?”.” Asking your patients about their personal struggles creates emotional connections with your patients. Patients highly value how an experience with an authority figure makes them feel. Identifying and having empathy for the struggles of others will create a positive first impression. 2. What would need to happen for therapy to be a success for you? Clarifying with the patient what their expectations for therapy on the first visit will provide a mutual goal that will guide the patient experience with the entire staff. Take the time and effort to identify the top priority for the patient. Reduce it to one sentence. Repeat it back to the patient for mutual commitment. Share it with all members of the care staff, so they know what is most important to this patient’s success. 3. How would you rate your recent experience with our clinic? So often when patients invest their time, energy and money into therapy, they’re expecting a pleasant feeling of reward in return. There is an anticipation of satisfaction from finding someone to help them, going through the recovery process and finally enjoying what they purchased. To get a better sense of what your patients are experiencing while they are in active care, ask them to rate it. Try to get inside your patient’s minds by using every opportunity to explore, understand and improve her experience. Don’t wait until the end of treatment, by then it’s too late to impact it. 4. What is the likelihood you would recommend us to a friend or colleague on a scale of 0 to 10, with 0 being “not at all likely” and 10 being “extremely likely”? This question is the widely used Net Promoter Score (NPS). The NPS score is a simple yet useful management tool that measures loyalty between customers and providers after the purchase of a product or service. At the end of treatment, ask your patients to rate how likely they would be to refer someone else to your clinic. Record their rating. Use open-ended follow-up questions to ask the patient to elaborate on the reason for their score. 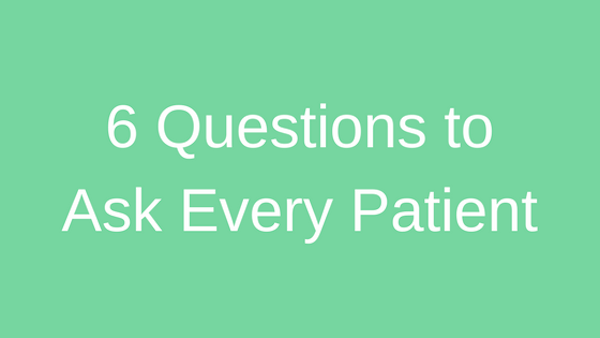 Answers to the “Why?” will identify all that is needed to improve patient experiences. 5. Hello, it’s [your name], your therapist calling. How are you doing? Is there anything more I can do to help you? The patient journey doesn’t have to end the moment they walk out of your clinic. Post-discharge follow-up reinforces a positive patient experience. It reassures your patients you are interested in their well being and not merely financial gain. A week after treatment discharge, check in with patients either by phone or email to ask them how they are doing. Let them know you want to hear from them, and you’ll check on them again in a month. 6. Working with you has been a pleasure; do you know one or two people who could benefit from our services? If you do, please share my phone number with them. Do you want to know the best way to get more referrals? Your best patients probably like you and vice versa. They are grateful and want help you succeed. They just don’t know how. Push aside any reluctance to ask for referrals from patients whom you share a loyalty connection. Provide them an effortless way to refer their friends and family to you. The solution is simple: ask, and you shall receive. I can’t emphasize enough the importance of asking the right questions, listening and keeping track of responses. If you want to grow your practice in a positive way that you can feel good about, then focus on delivering a remarkable patient journey. A patient journey is made up of key experiences that are carefully crafted and managed. How do you know what to do and when to do it? Ask your patients; they’ll tell you if you ask and listen. 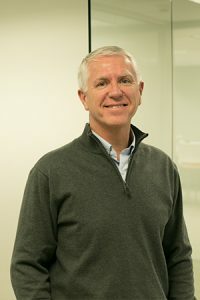 Paul Potter is a physical therapist and mentor who lives in Lincoln, Nebraska, with his wife, who is also a therapist. They have four daughters. For more than 35 years he successfully managed his own private practice. Connect with Paul on his website PaulPotterPT.com. This was an extremely helpful and valuable blog. helped my business to grow.